Original HPI HD aluminum spur gear mount. This mount provides a much better guide for the lay shaft to the differential. The original plastic part can only transmit the normal forces when the original motor is used. 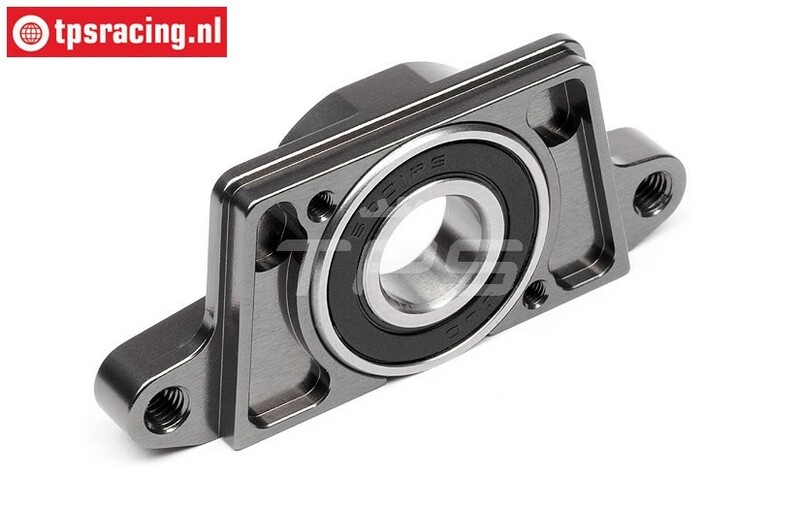 HPIB089 Ball Bearing Ø12-Ø24-H6 mm, 2 pcs. HPIB098 Ball Bearing HPI Ø12-Ø28-H8 mm, 2 pcs. HPI87291 Gear Plate HD, Gun Metal, 1 pc. HPI87289 Rear Upper Plate HD Gun Metal, 1 pc. 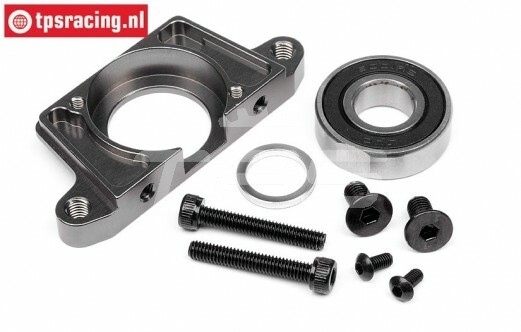 HPI87548 Alloy Rear Shock mount HD Gun Metal, 1 st.
HPI87572 Brake Lining bracket HD Gun Metal, Set.